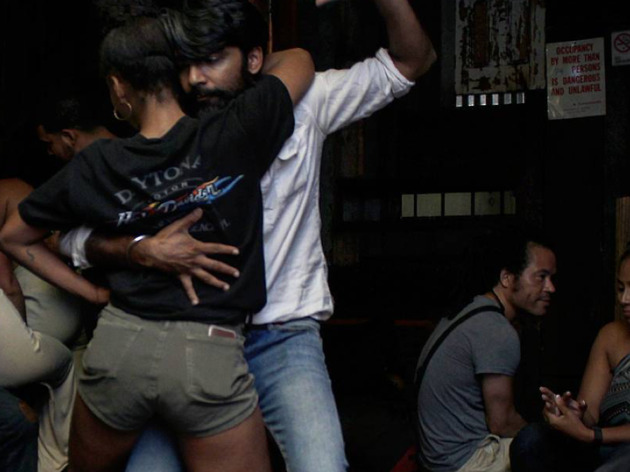 At an unmarked hideaway under the Williamsburg Bridge, the swinging clientele dances by candlelight to Latin-infused beats. The DJs spin everything from reggae to funk to salsa to bachata, to the delight of the regulars gyrating around the dance floor. Drummers and local musicians often perform as well. Check the calendar on Bembe’s website to see who will be taking the stage on any given night. Don’t forget your dancing shoes: You’re sure to be on your feet all night long. Pros: Great music, great energy, diverse crowd, friendly bouncers, easy street parking and fantastic drinks! Been coming here now for about 3 years and I love it. Not your average club. Cons: You may want to think twice before sitting down on these seats....Ive seen them with the lights on and its not a pretty sight. Also when this place gets packed to capacity it is a sweatbox. Come before 12 in order to avoid a ridiculously long line.